This story of a home exchange to Lake Tahoe in the United States was shared with us by Bailey. Lake Tahoe - Truckee, California to be specific. I contacted them on the HomeExchange website. Due to the fact that we live in Hawaii, our kids had never seen snow before. We also had never taken a family vacation that didn't include visiting friends and family. We started contacting people in the Tahoe area and found the most amazing exchange in Truckee! We arrived in a break from the massive amounts of snow that Tahoe had been hit with. Our host was so amazing and not only made sure the house was ready for us once we arrived but also let us borrow extra snow gear (since we don't own much living in the tropics!) and gave us tons of tips from where to eat to where to ski/hang out etc.! We experienced everything the snow has to offer! We made snowmen, snow angels, had snowball fights, made forts, learned new family games by the fire together, sang together, drank lots of hot chocolate, went skiing/snowboarding and so much more! We had an amazing time. Spending uninterrupted time as a family in a cozy and welcoming place. It is the best! You get to have a personal experience of living in someone's home, getting lots of tips and without much (if any!) cost. 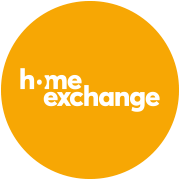 One HomeExchange Member shares their story of experiencing an exchange in Vancouver, Canada, and talks of the kindness of their host.